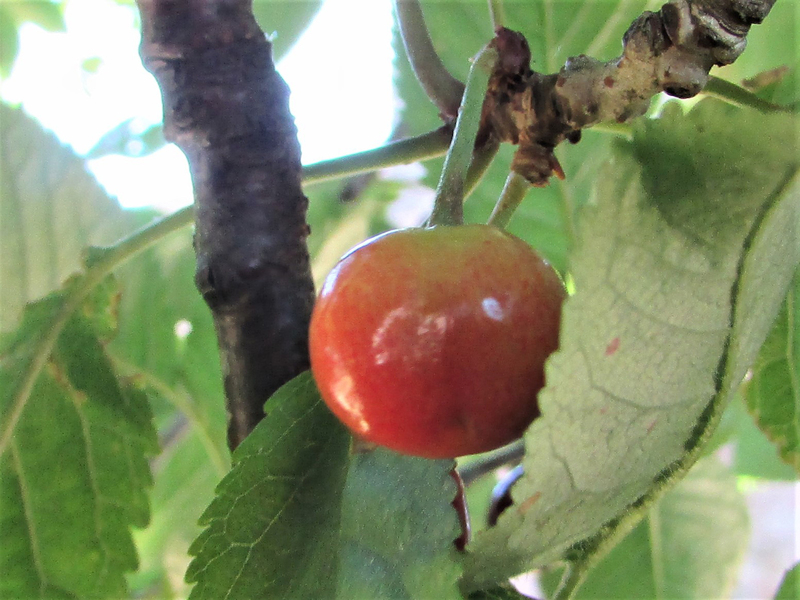 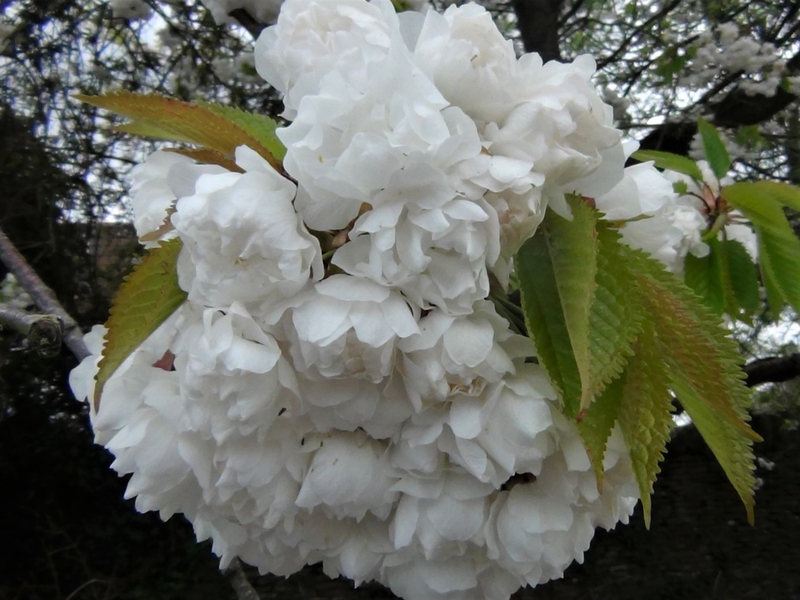 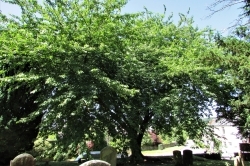 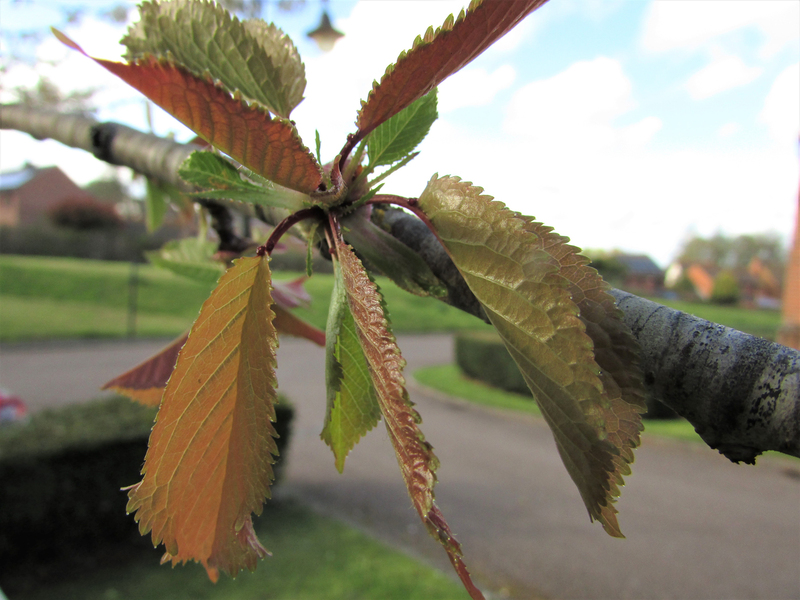 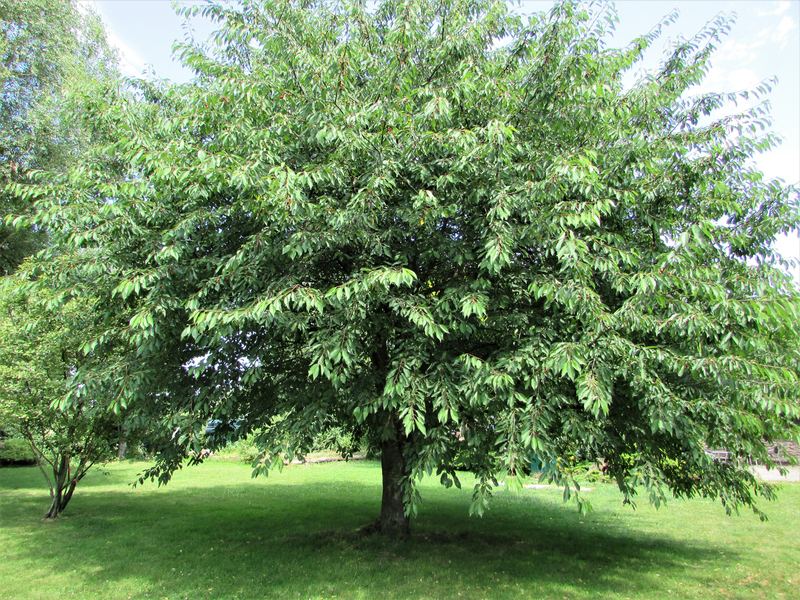 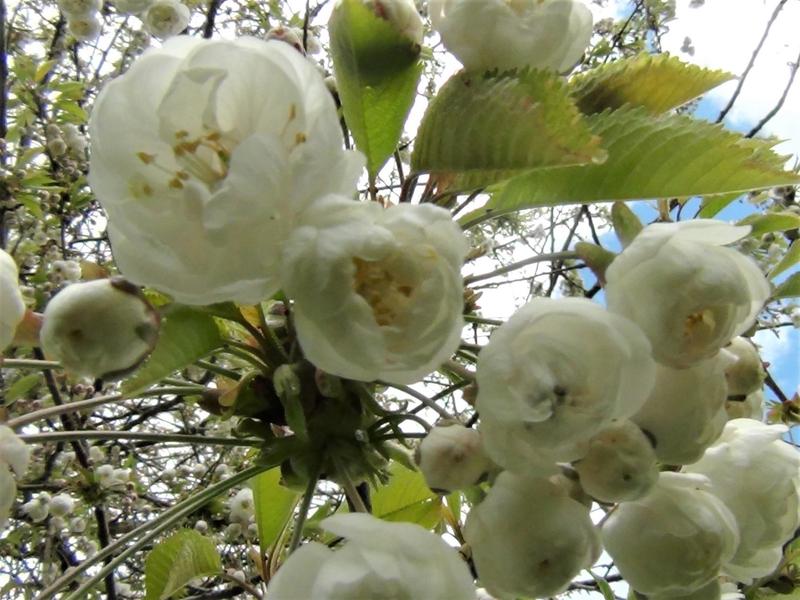 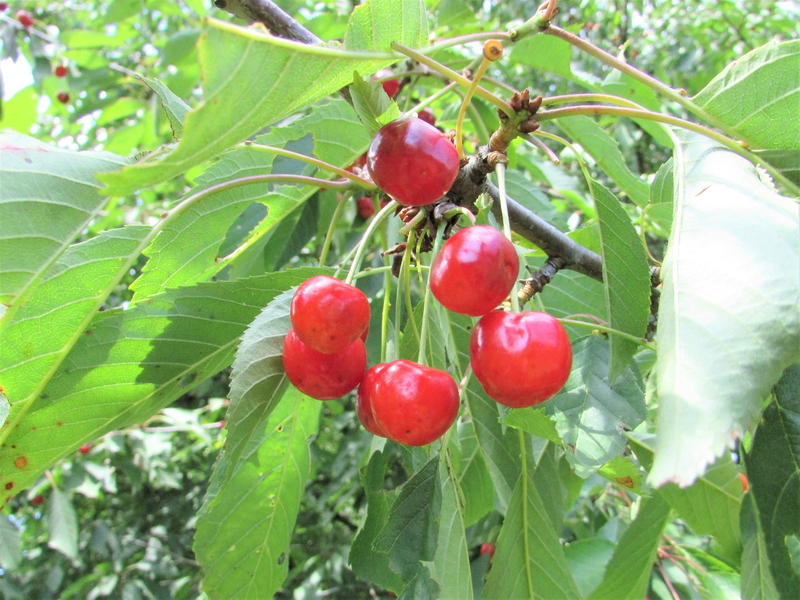 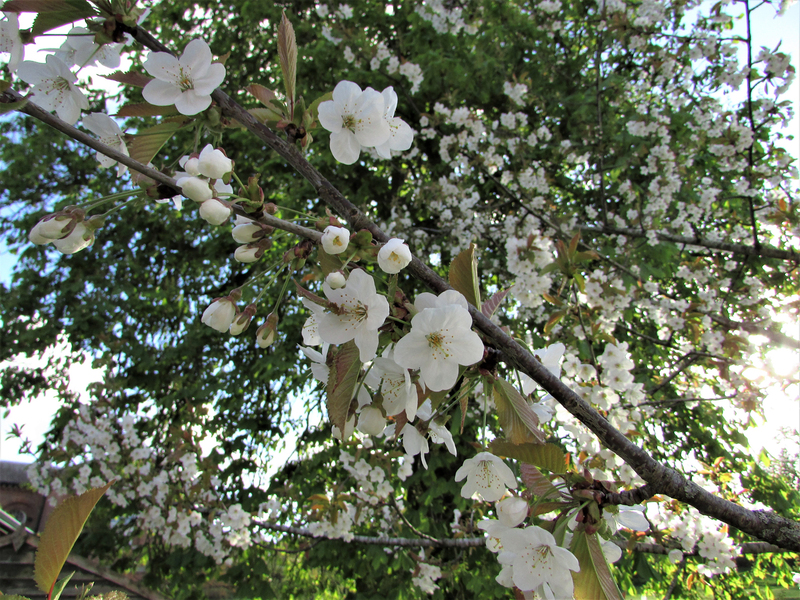 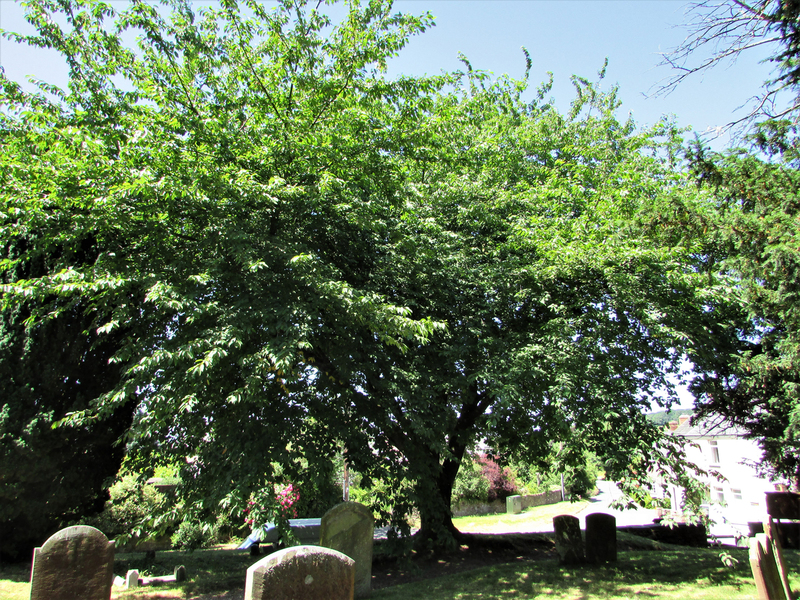 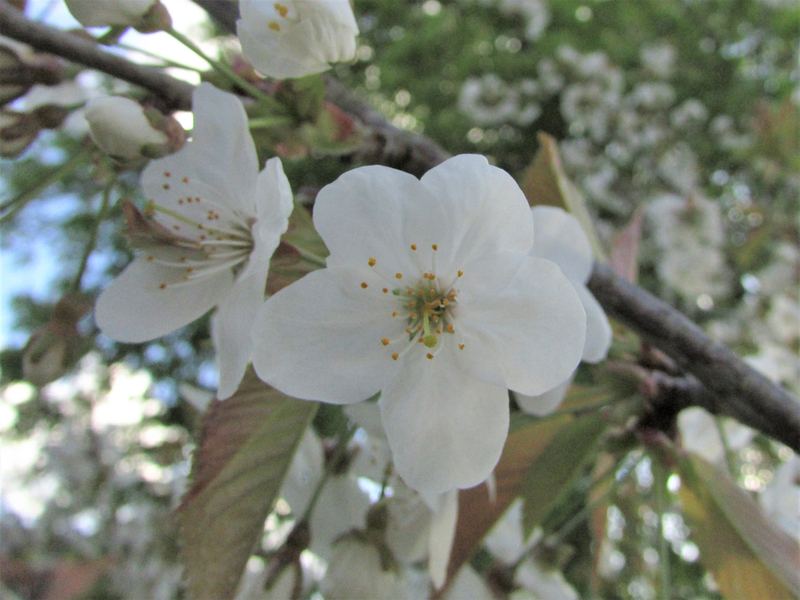 There are a few different Cherry species growing in the UK, Prunus avium is what people usually refer to when talking about the Wild Cherry. 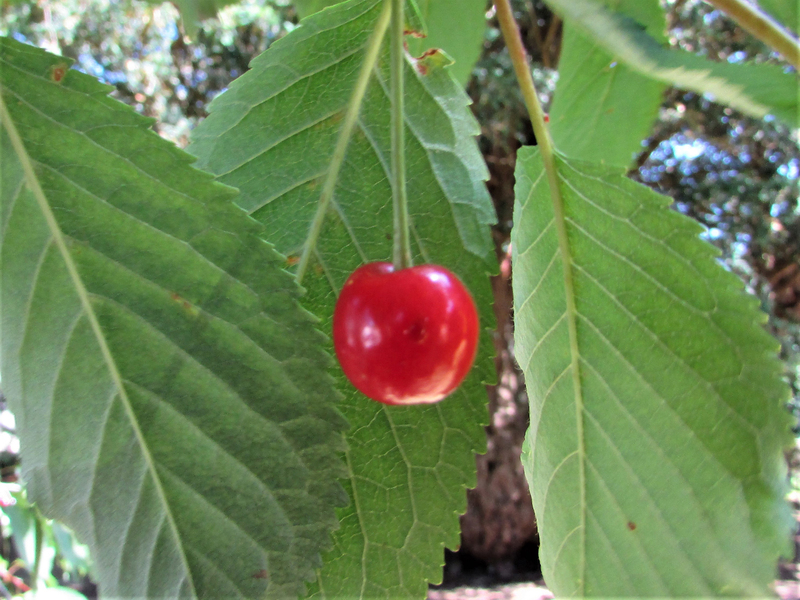 All are edible although some can be very sharp and sour. 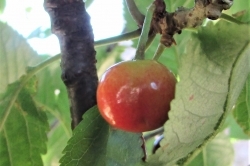 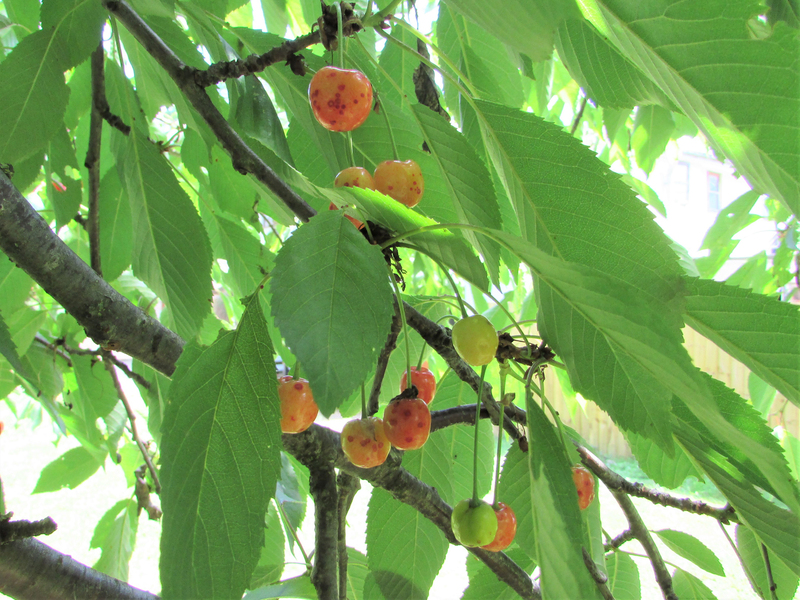 The seeds or pips of the cherry are poisonous and should not be consumed. 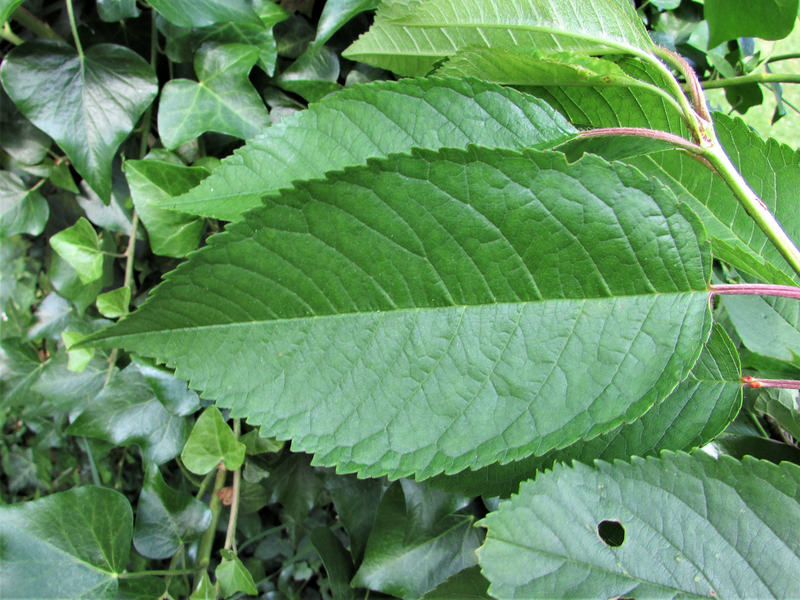 An elongated oval shape with serrated edges and a point at the end. 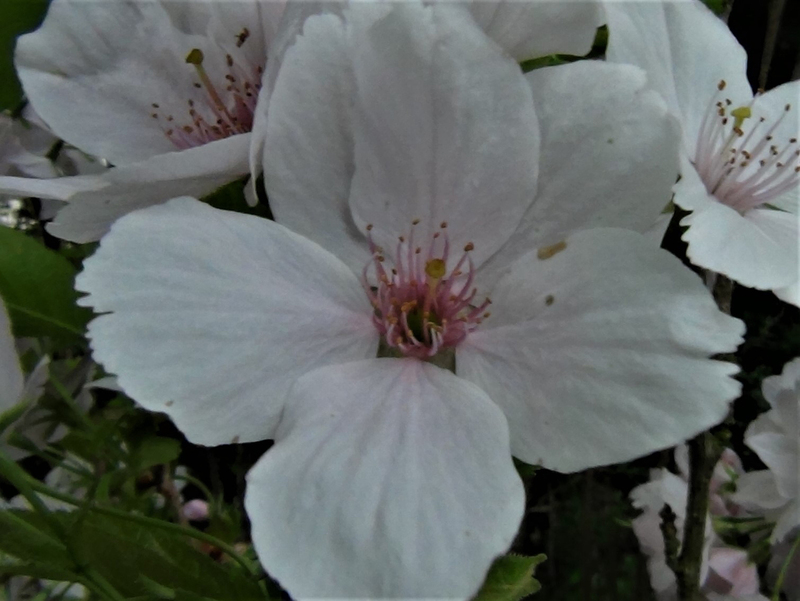 Usually five white or pink petals with long stamen sticking out and just one style. 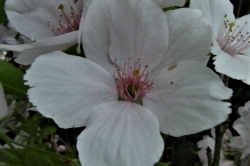 The flowers can be semi double to double with many more petals. 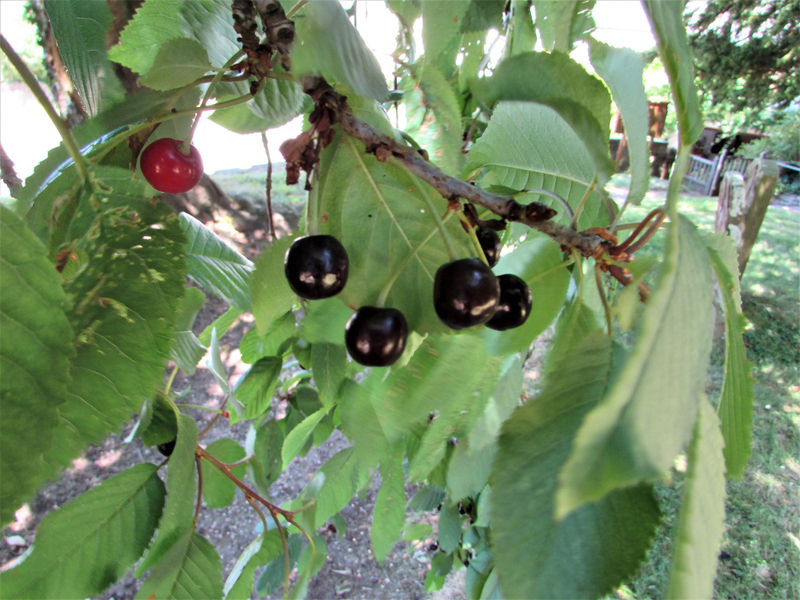 Usually shiny, red, round, berries hanging from the tree although yellow and black varieties can be found. 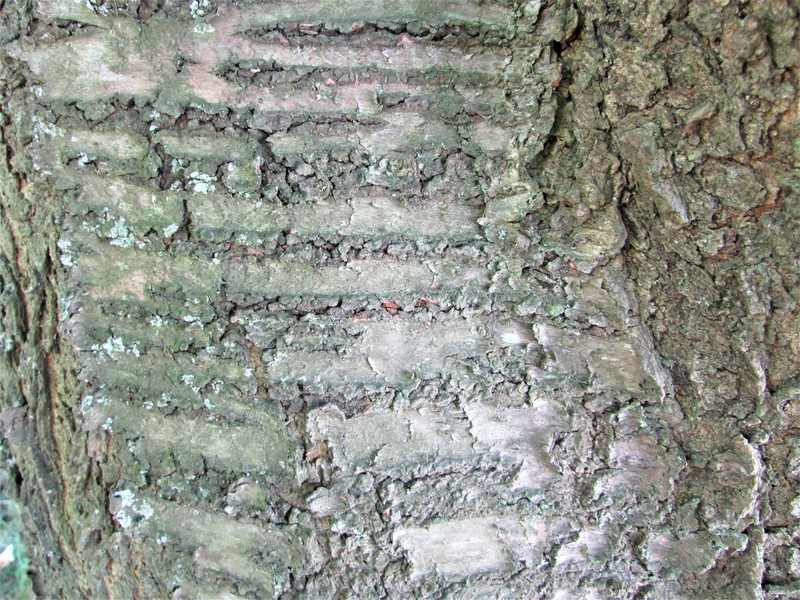 Brown to grey with green from algae and lichen with some shiny areas and what look like horizontal scars or cuts that are called lenticels. 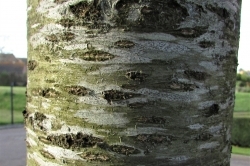 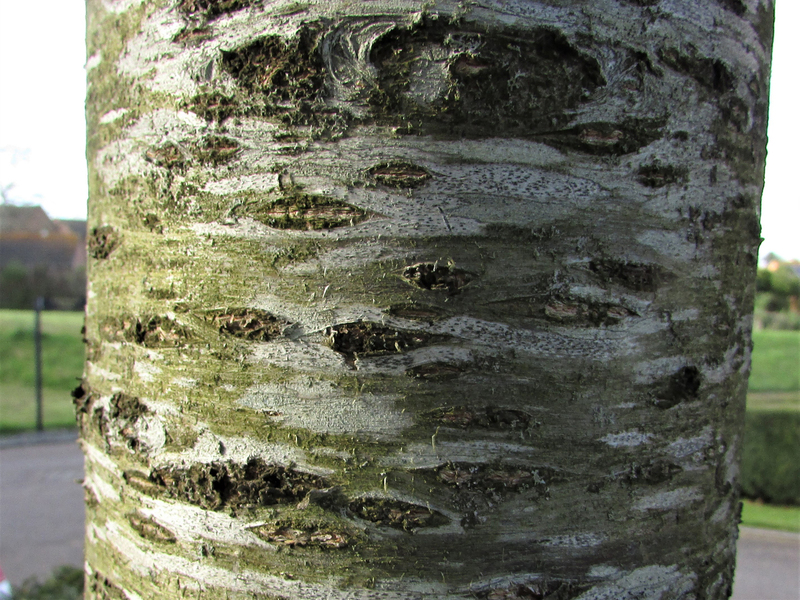 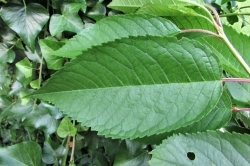 Woodland, hedgerows, gardens, graveyards, parks and often used as a pavement ornamental. 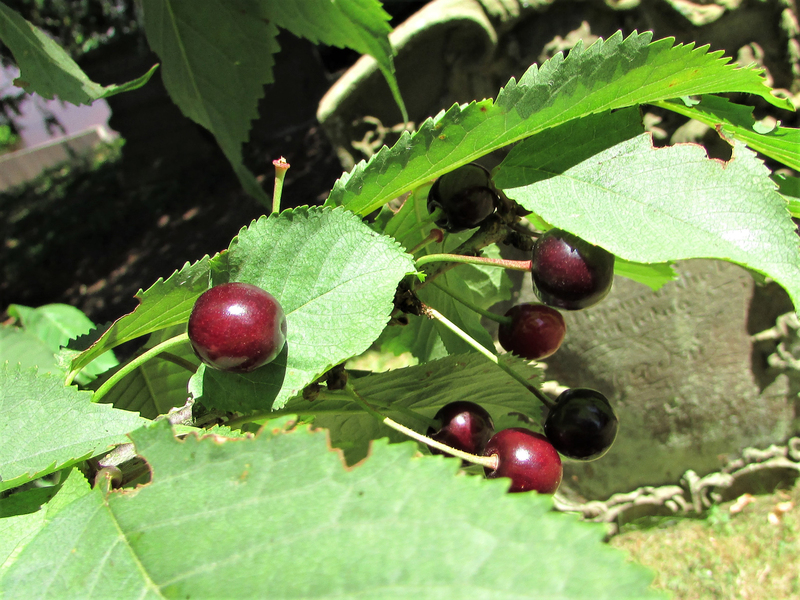 Possibly the cherry plum but these are generally bigger and it wouldn’t be dangerous to confuse the two. 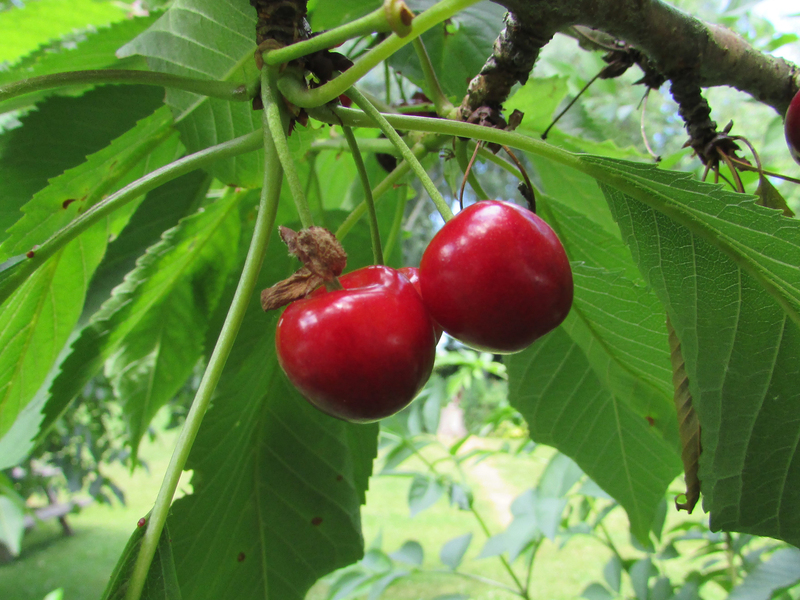 Sweet and lovely when ripe but some can be quite sharp and are better used in recipes involving honey or sugar. 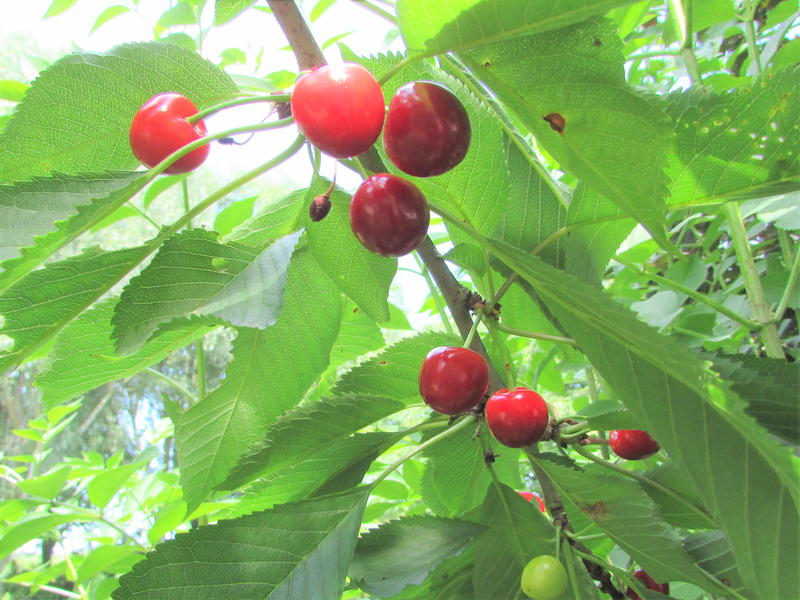 You need to get to your cherries before the birds as they can strip a tree in no time. 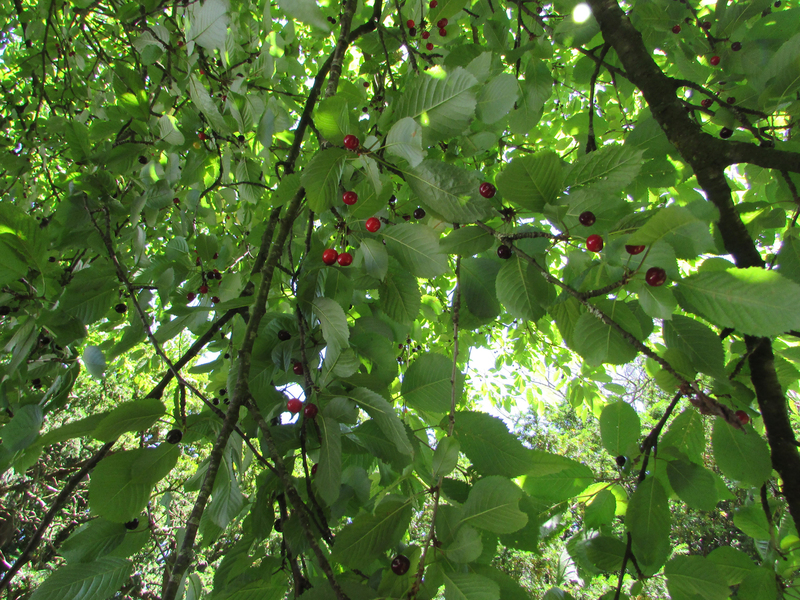 Cherry trees are often used as a pavement tree in cities, in South London some streets have nothing else but nobody seems to pick the fruit, there are tons of cherries at the right time of year.